Inside storage compartment, lid opens full 180-degrees to access and holds items like phone, medicine, keys, napkins, utensils, etc. A serious cooler that keeps cool for up to 30 hours. 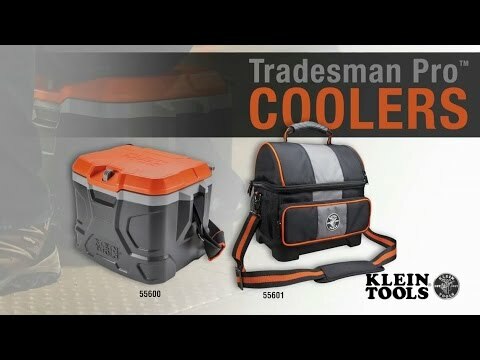 Not only does the Tradesman Pro™ Tough Box Cooler carry lunch, it doubles as a handy place to sit. The lid on this large capacity cooler is recessed allowing space for 1-liter bottles to stand upright. A convenient compartment housed inside the lid for smaller items such as medicine, napkins, utensils, keys, etc.